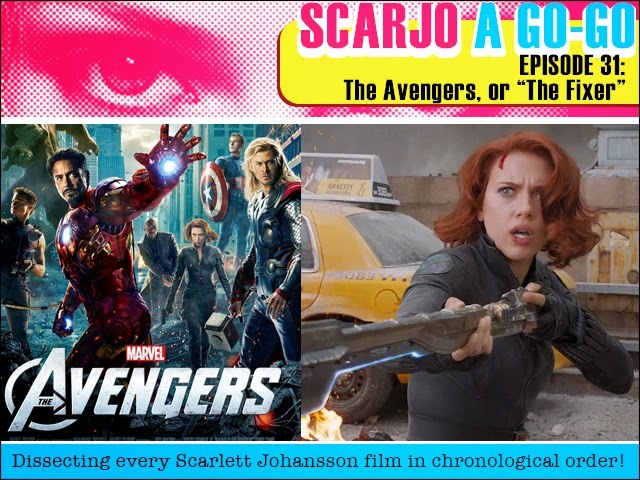 Fruitless Pursuits: Scarjo A Go-Go Episode 31: The Avengers, or, "The Fixer"
Scarjo A Go-Go Episode 31: The Avengers, or, "The Fixer"
We already met the fledgling incarnation of super-spy Black Widow back in Iron Man 2, but can writer/director Joss Whedon work with our hero, Scarlett Johansson, to fix up some of those flaws in his big screen team-building exercise The Avengers? Does a small woman with a gun stand a chance among Earth's mightiest heroes? I'll answer that question and many more as we discuss and dissect one of Scarlett's most iconic roles!